Often hypnotherapist are confused with stage hypnosis which is a form of entertainment, not therapy. A hypnotherapist uses hypnosis to help you move forward with your life, overcoming set backs and achieving your goals. Stage hypnosis uses hypnosis for entertainment. They ask extrovert people, especially those who are willing to play the clown to come up and do random acts on stage to amuse the audience. When a hypnotherapist supports you to move forward, the key thing to remember is that you are in control of the whole session, you can open your eyes whenever you need to and you are aware of everything that is happening. What Do You Need To Do To Get Motivated For Making a Change? Next, think about how your personal barriers affect you, your family, your career, your life and your future. Record the pain your issue is causing you. Finally think about how you would like to live your life and write a list of all the positive differences you would have in your life if you were able to overcome your barriers and achieve your goals. Record the pleasure your changes will bring. This quick exercise would have helped you feel emotional about your issue. A big part of hypnosis is helping you control your states. Hypnosis works by helping the phobic feel calm when they see as an example a spider. Or helping someone who wants to lose weight to feel disgusted towards fatty foods rather the desire. Hypnosis helps you re-frame situations, deletes negative self talk, it gives you choices and puts the control back in your hands. The trance side of hypnosis is to help your mind visualise what you want, as it has been found to people can make changes quicker when in trance, as it shuts of the outside world, similar to that as a mediator, who concentrates internally rather then externally to help them relax fully. 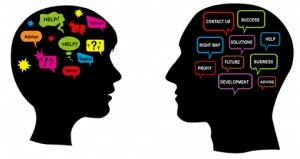 Next postWhat Is The Difference Between a Manchester NLP Coach and An Manchester Hypnotherapist?